Here are some postscript or pdf files containing lecture notes for various lectures given in recent years. Gröbner Bases: Quick Updates and Extended Snapshots. This lecture highlights recent developments in the theory of Gröbner bases and gives fun applications. The lecture was given in Alcalá de Henares, Spain, at the 2012 meeting of EACA (Encuentro de Álgebra Computacional y Aplicaciones). Part of this lecture is based on the Sampler of Recent Developments from my 2007 ISSAC Gröbner Bases Tutorial (see below). Évariste Galois and Solvable Permutation Group. This lecture discusses the amazing work of Galois on solvable permutation groups. The lecture was given in May 2012 at the University of the Basque Country in Bilbao, Spain, as part of their celebration of the 200th anniversary of the birth of Galois. Geometric Modeling and Commutative Algebra and The Surface Case. These are the slides for the first lecture and part of the third lecture given at the Pan-American Advanced Study Institute, held in Olinda, Brazil, in August 2009. Gröbner Bases Tutorial: The Geometry of Elimination and Gröbner Bases Tutorial: A Sampler of Recent Developments. These are the slides for the Gröbner bases tutorial given at ISSAC in July 2007 in Waterloo, Canada. Lectures on Toric Varieties. These lectures discuss toric varieties in terms cones, fans, homogeneous coordinates and polytopes. They also touch on some of the commutative algebra involved in toric geometry. The lectures were written for the CIMPA School on Commutative Algebra given in Hanoi in December 2005. What is a Toric Variety? These notes introduce the idea of a toric variety and discuss cones, fans, polytopes, and homogeneous coordinates. Click here for slides based on these notes. The slides are for a lecture given at the Workshop on Algebraic Geometry and Geometric Modeling to be held in Vilnius, Lithuania in the Summer of 2003. Introduction to Algebraic Geometry. These notes cover abstract varieties and topics such as normality and smoothness. They also discuss Weil and Cartier divisors, invertible sheaves and line bundles. The notes are based on lectures given in Grenoble at the Toric Summer School in the Summer of 2000. Minicourse on Toric Varieties. These are notes for three lectures covering various ways to define of toric varieties (fans, homogeneous coordinates, and toric ideals), results related to polytopes (the Dehn-Sommerville equations, the Ehrhart polynomial, and the BKK bound), and an introduction to how toric varieties are used in Mirror Symmetry (the Batyrev mirror construction). The minicourse was given at the University of Buenos Aires in the Summer of 2001. What is the Multiplicity of a Base Point? These are the slides for an expository talk given on the definition of multiplicity at the XIV Coloquio Latinoamericano de Algebra in the Summer of 2001 in Cordoba, Argentina. Newton's Method, Galois Theory, and Something You Probably Didn't Know About A5. These are the slides for an expository talk given on the Doyle-McMullen Theorem, which relates Newton's Method to Galois Theory. (Note that the postscript file given here is missing the illustrations.) This lecture as given at the XIV Coloquio Latinoamericano de Algebra in the Summer of 2001 in Cordoba, Argentina. Click here for some of my recent papers, posted on the Amherst College Octagon, which is a collection of open access articles written by Amherst College faculty. 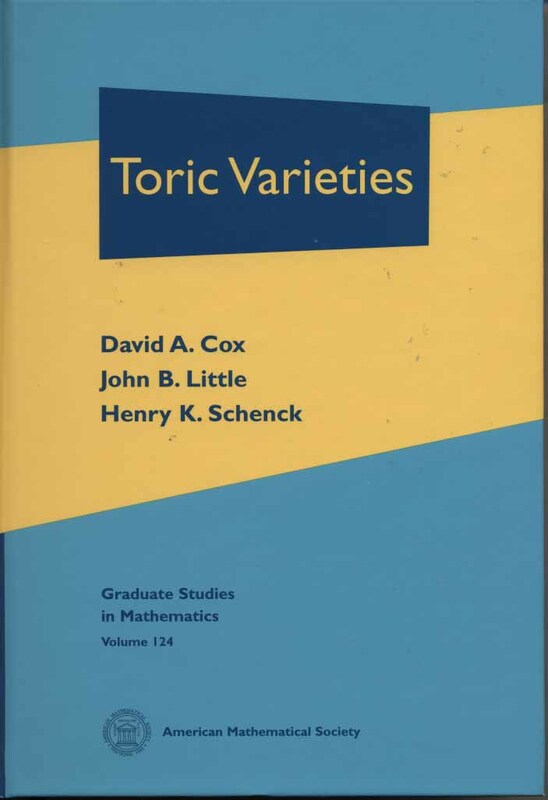 Click here for the web page for my book Toric Varieties, written with John Little and Hal Schenck. This book is about a wonderful part of algebraic geometry that has deep connections with polyhedral geometry. It is published by the American Mathematical Society. 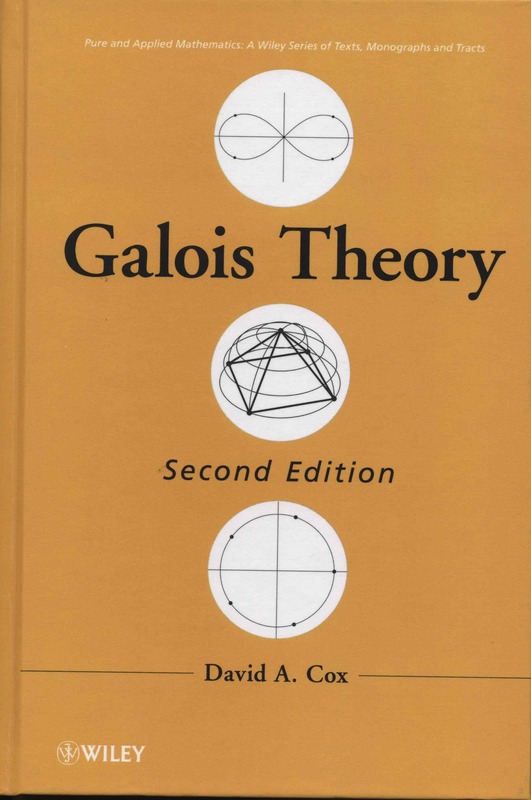 Click here for the web page for my book Galois Theory. This book is about the wonderful interaction between group theory and the roots of polynomials. It is now in its second edition and is published by John Wiley & Sons. The book has been translated into Japanese. 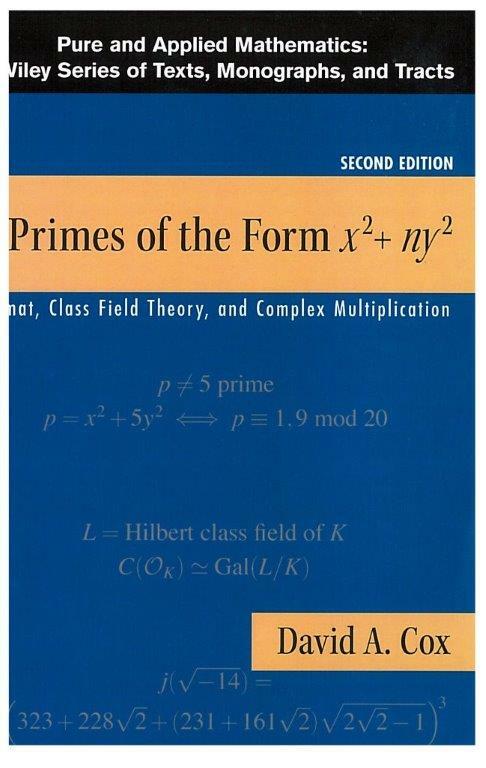 Click here for the web page for my book Primes of the Form x2 + ny2. This book is about Fermat, class field theory, and complex multiplication, and was written for anyone who loves number theory. It is now in its second edition is published by John Wiley & Sons. The book is available in a modestly priced paperback edition. 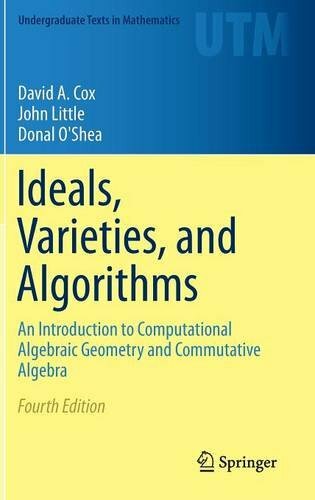 Click here for the web page for my book Ideals, Varieties and Algorithms, written with John Little and Don O'Shea. This book is an introduction to algebraic geometry and commutative algebra, and was written for undergraduate math majors. It is now in its fourth edition and is published by Springer-Verlag. The book has been translated into Japanese and Russian. 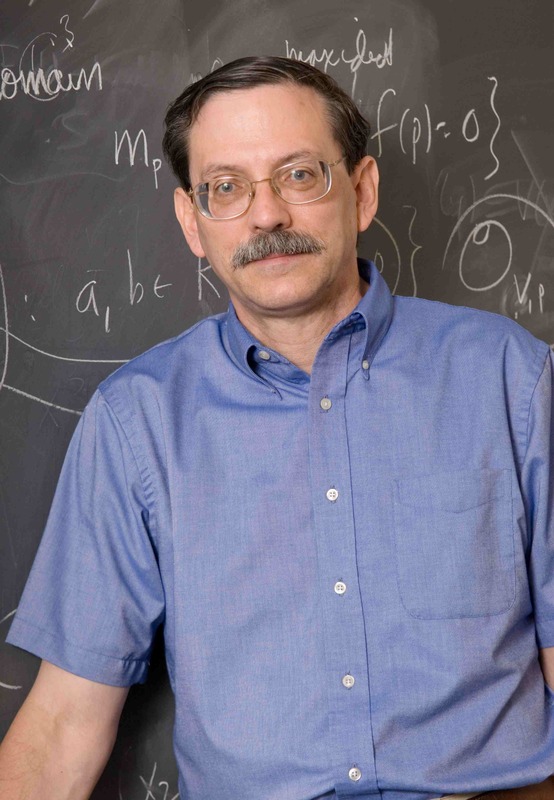 In January 2016, Ideals, Varieties and Algorithms was awarded the Leroy P. Steele Prize for Mathematical Exposition by the American Mathematical Society. 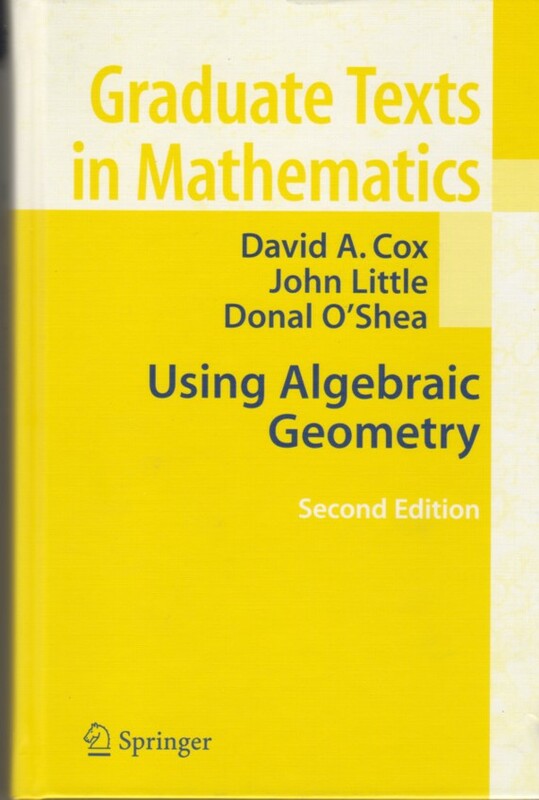 Click here for the web page for my book Using Algebraic Geometry, also written with John Little and Don O'Shea. This book is an introduction to Gröbner bases and resultants, which are two of the main tools used in computational algebraic geometry and commutative algebra. It also discusses local methods and syzygies, and gives applications to integer programming, polynomial splines and algebraic coding theory. It is published by Springer-Verlag and is available in hardcover and paperback. The second edition appeared in the Spring of 2005. The book has also been translated into Japanese. Click here for the web page for my book Mirror Symmetry and Algebraic Geometry, written with Sheldon Katz. This monograph is an introduction to the mathematics of mirror symmetry, with a special emphasis on its algebro-geometric aspects. Topics covered include the quintic threefold, toric geometry, Hodge theory, complex and Kähler moduli, Gromov-Witten invariants, quantum cohomology, localization in equivariant cohomology, and the work of Lian-Liu-Yau and Givental on the Mirror Theorem. The book is written for algebraic geometers and graduate students who want to learn about mirror symmetry. It is also a reference for specialists in the field and background reading for physicists who want to see the mathematical underpinnings of the subject. It is published by the American Mathematical Society. I am on the Editorial Board of the Journal of Symbolic Computation, published by Elsevier. Click here for the home page of the journal. I am also on the Advisory Board of Undergraduate Texts in Mathematics, published by Springer. Click here for the home page of the series.